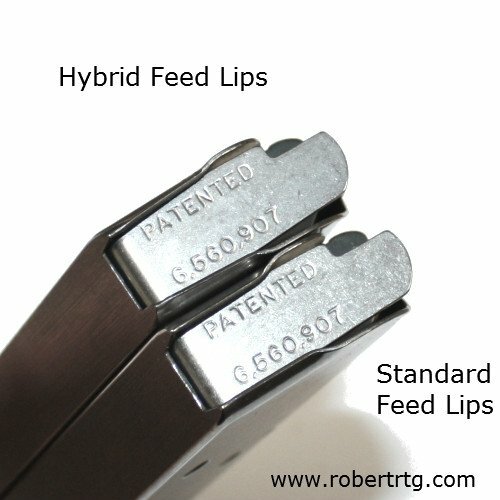 New hybrid 1911 8rd stainless steel magazine. These have slightly modified feed lips which allow the bullet to sit slightly higher making feeding with hollow-points more reliable. 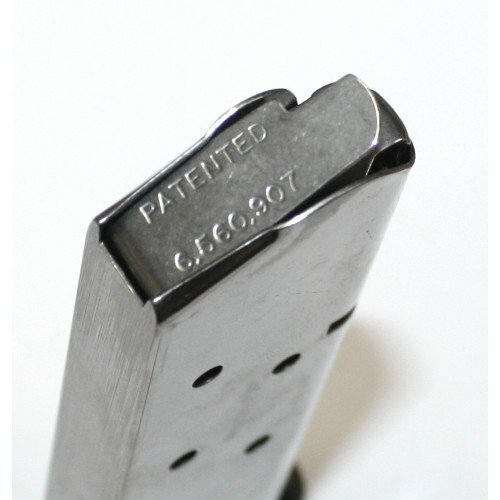 Many 1911 pistols have tight feed ramps that are not super friendly to hollow points. 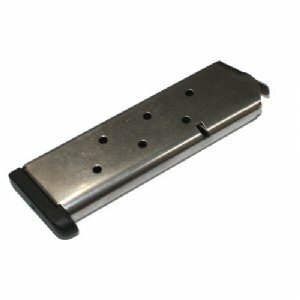 This is a great upgrade and will increase your weapons reliability when shooting tactical ammunition. High quality, U.S. made 1911 .45acp 8rd hybrid stainless steel magazine. 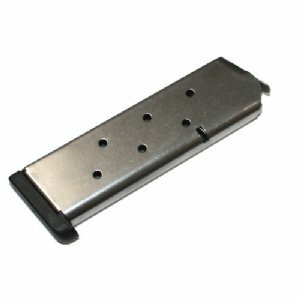 These mags have hard plastic baseplates which are removable for easy cleaning. Each mag is polished inside and out for the smoothest possible feel and function. Each mag includes patented no jam follower and a high tension spring. 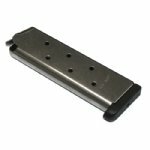 "1911 8 rd for hollowpoints"
Product Review: i have fired appx. 300 rounds through the mag i bought with zero problems. 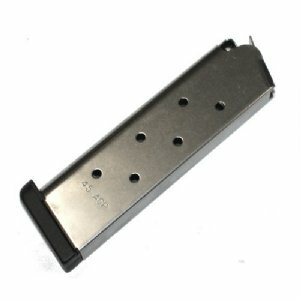 "Best 45ac mag under $50!"